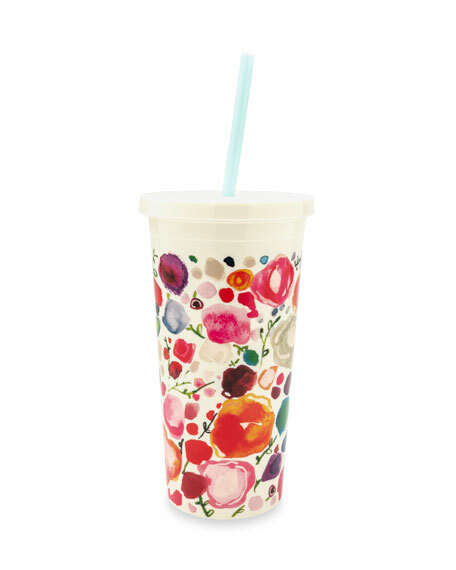 Take your favorite iced beverage to go in kate spade new york's floral tumbler. The BPA-, phthalate-, lead-free construction means you can sip without worry, while the punchy blooms makes it an instant accessory. kate spade new york floral tumbler with straw.